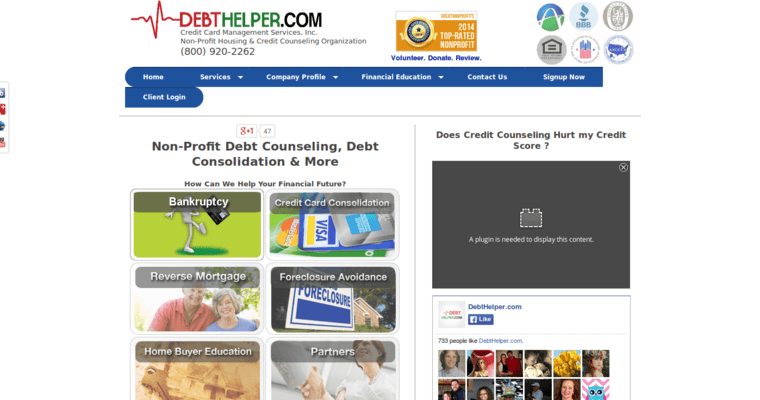 West Palm Beach, Florida based agency DebtHelper.com offers services to help consumers that are struggling with credit card and other debt to create debt management plans, raise their credit scores and regain financial solvency. On average, the agency was able to drop the average user's monthly credit card payment from $954 to $606, a savings of $348. DebtHelper.com makes itself easy for users by accepting personal checks, working directly with creditors and offering live phone support. 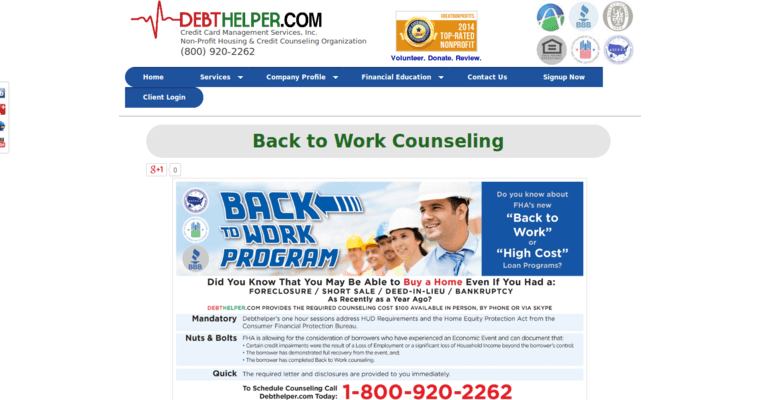 DebtHelper.com offers courses in bankruptcy to help consumers understand the complex process of creating a budget that works for their financial situation and dealing with any current debtor issues they are having. Personal finance counselors are available through the agency to help consumers communicate with debtors and get interest rates and monthly payments lowered, thus creating a debt management plan. 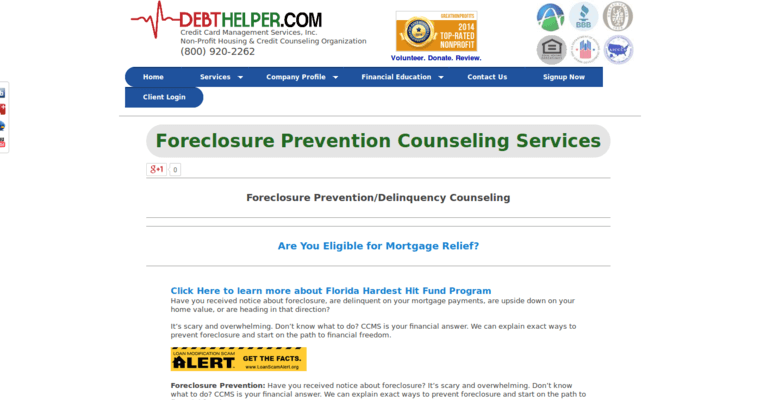 Housing counseling services are also available for consumers looking to buy or maintain their home or apply for a reverse mortgage.